“I went to bed the other night and my iPhone worked fine. When I woke up, I was shocked that the iPhone black screen and won’t turn on. Anyone can tell me what should I do? 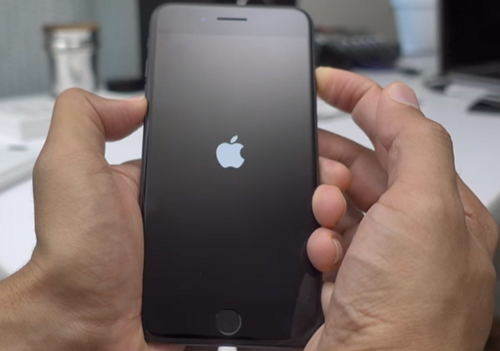 Many iPhone users may experience black screen issue on their iPhone and usually cannot do anything. You can hear the sounds when someone calls or texts but the screen still remains black. As the Apple Inc. released its new brand device recently, many people has already upgraded to iPhone 7/7 Plus. That must be devastating if your new precious stuck in black screen. The first thing you wonder would be how to fix iPhone 7 black screen of death. Many people think it’s difficult to deal with the iPhone dark screen problem by their own. Here we recommend Tenorshare iCareFone to help you solve the black screen and other stuck issues on your device with ease. Just free download the trail version to get more comprehensive understanding of this amazing tool. Before getting to know the solutions to get rid of black screen on (red) iPhone7/7 Plus/SE/6s/6/5s/5, let’s overview the main causes of this issue. Sometimes the black screen appears on iPhone after dropping in water or other accidents. This is because the internal hardware on your iPhone has been damaged. So be careful when you are using your device to prevent the accidents happening. Corrupted or out-of-date software could affect the functionality of the device and the unpredictable black screen could appear. 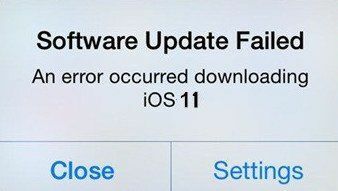 Update your software from time to time and avoid installing any inappropriate software. If your battery is old or you charged too long, it is easy to become overheating and power issues, which will result in iPhone black screen too. Normally you can put iPhone into Recovery mode or DFU mode and then exit to fix black screen issue. But if these failed, you can choose the following ways. Here are the best and quick ways to repair black screen on iPhone after jailbreak, water damage, screen replacement and more completely. Restore to factory setting can erase all the data, thus, before you fixing black screen on your iPhone by this method, make sure to back up all the data. Step 1: Connect iPhone to computer and run iTunes. It will detect the iPhone in recovery mode and will give you the option to restore it. Click the “Restore” button. Step 2: A pop-up window will ask you to restore your device. Click 'Restore' to start the process. When it is finished, select “Set up as a new iPhone” in order to restore the device to factory settings. If you want to get black screen fixed and repaired without restoring your iPhone to factory settings, you can use Tenorshare iCareFone help you solve the problem. Step 1: Connect iPhone to computer and run the software. Choose "Repair Operating System" on the main interface, download firmware online or import firmware manually and click Next button. Step 2: Select a recovery mode and repair system. There are two repair modes: Standard Repair and Deep Repair. Standard mode is recommended as it can fix most of the iOS stuck and crash issues. Click “Next” to start repairing. Step 3: The software will repair system automatically, please make sure do not do anything to your iPhone during the process. Done! Hope the methods mentioned above can help you fix your iPhone black screen issues and make your device responding again. If you still have any questions, please leave your comments and we’ll reply you soon.